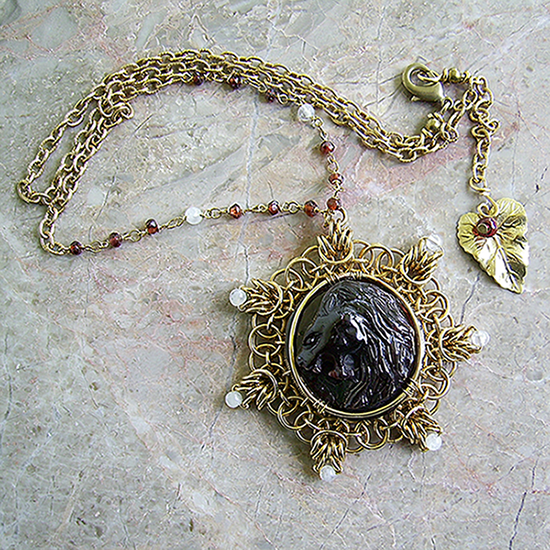 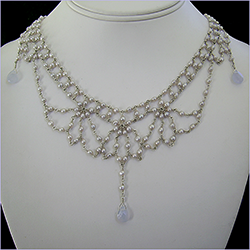 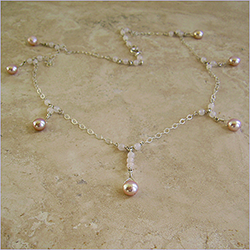 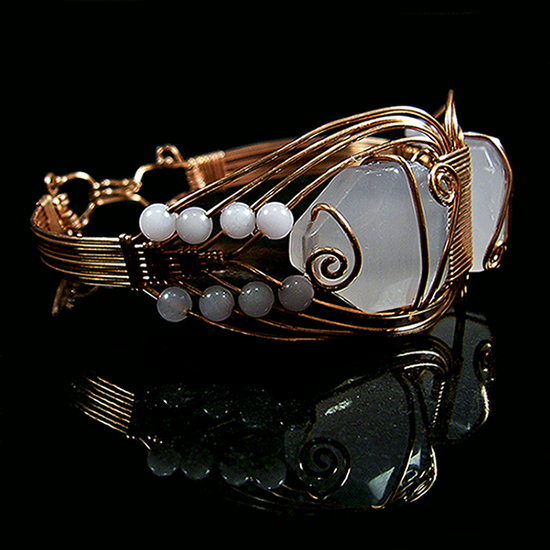 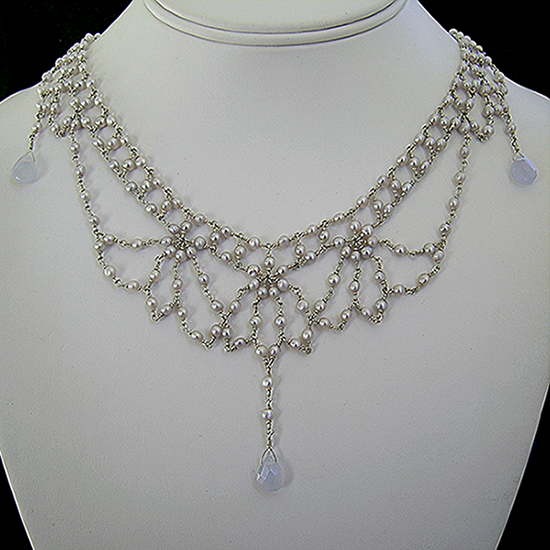 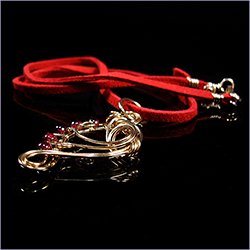 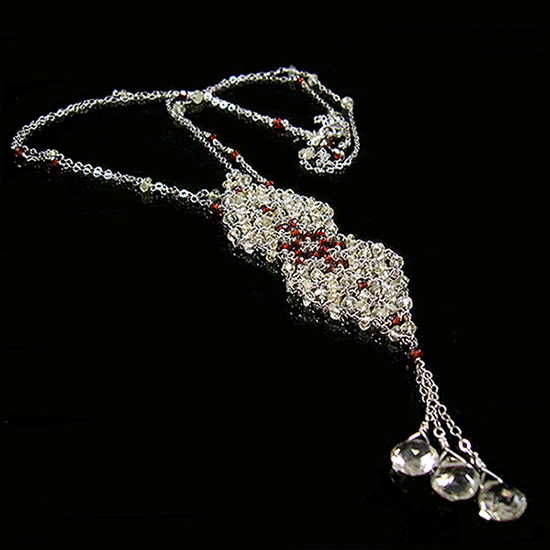 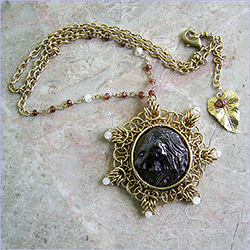 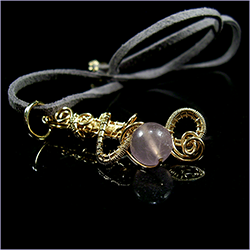 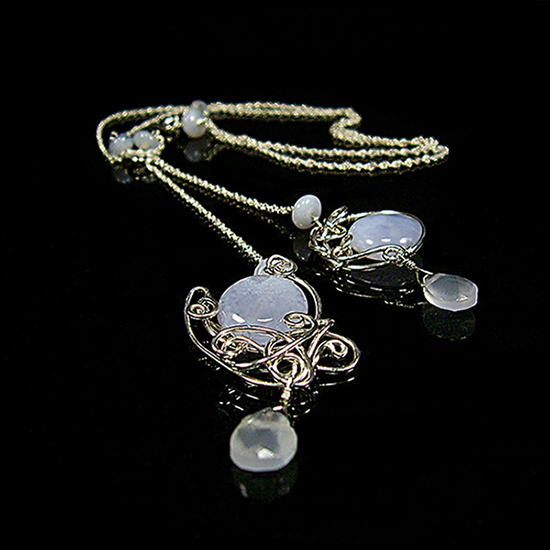 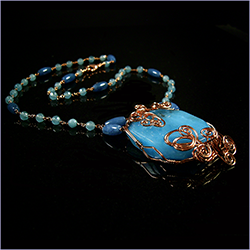 This Gallery features jewelry pieces which are no longer available for sale. To view a larger version, click the image you would like to see. 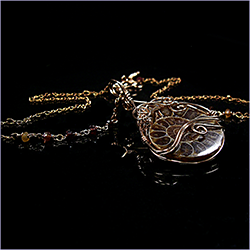 To close the large image, click anywhere on the screen. 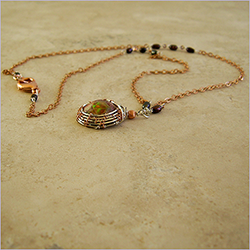 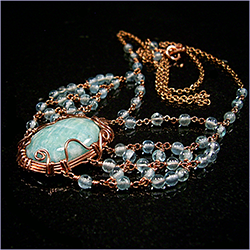 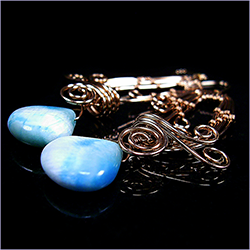 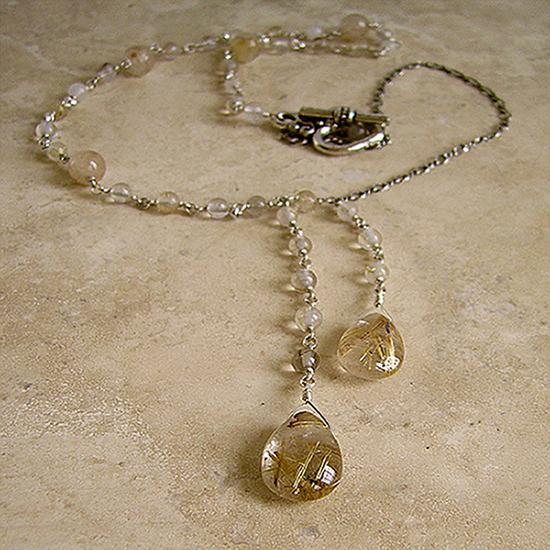 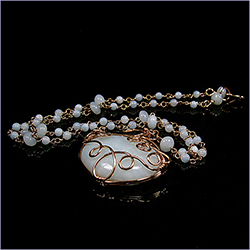 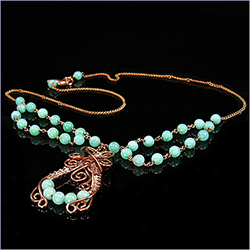 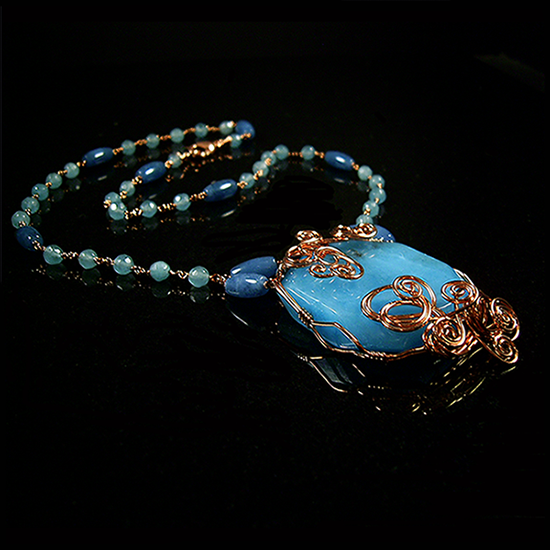 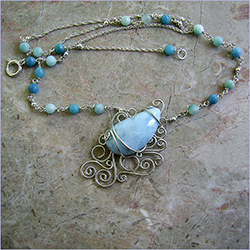 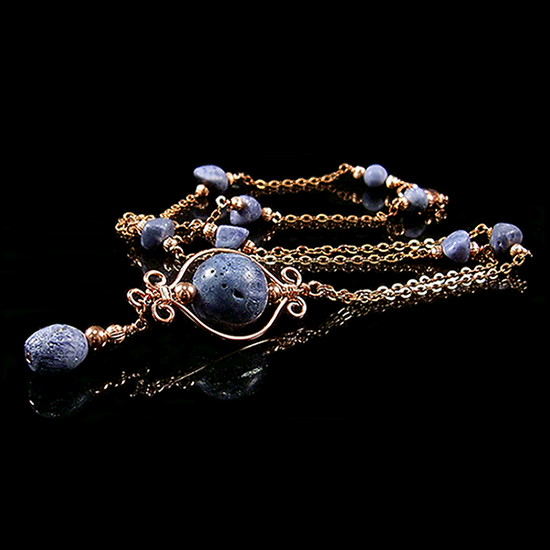 Copper Necklace with Russian Amazonite and Apatite.